The Hayden Company, Inc. was founded in 1966 by William H. (Bill) Hayden. Bill moved his family back to Central Kentucky after a successful career in sales with International Harvester. He opened our business in his hometown of Nicholasville as a general contractor. Bill’s commitment to his core values of family, community, honesty, integrity and respect has been installed as corporate culture for Hayden Construction. These core values have guided The Hayden Company, Inc. for 50 years and into 3rd Generational Family Corporation. The Hayden Company, Inc. has accomplished this milestone by relying on these basic principles of taking care of our customers by dedicated team leadership, financial stability, steady/stable growth pattern, education and safety. Excellence in Construction is the way we do business every day. Customers throughout the Lexington, Kentucky area rely on us for our product knowledge, meticulous attention to detail and creativity that truly set us apart. Our company also has a superior safety record, experience working with building committees, and specialized knowledge of needs for animal design in residential farm construction. At The Hayden Company, we pride ourselves on our customer service, and we look forward to serving you, too. We surround ourselves with trusted contractors, use energy efficient practices for design and value. We can do your project affordability without sacrificing quality and providing Excellence in Construction. We are looking forward to the next 50 years of continued success as leaders in the construction industry. 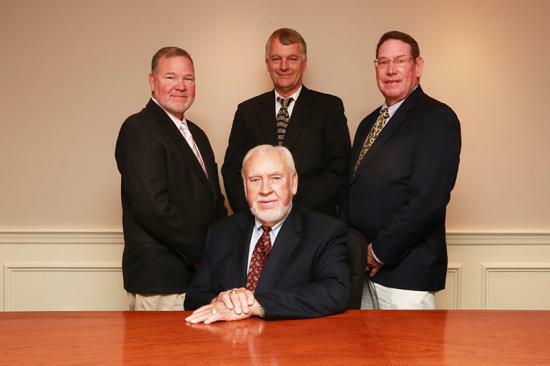 The Hayden Company, Inc. looks forward to sitting down with you and assisting you with your construction needs.